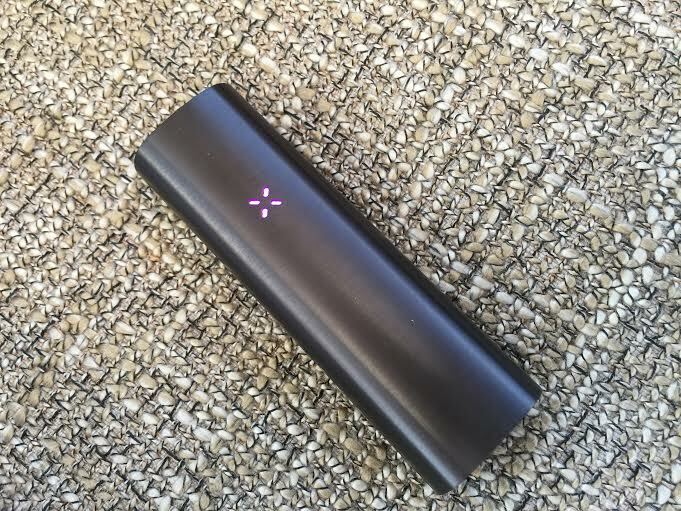 When I got my hands on the new Pax 2 to review, I was slightly jaded from my original experience. My first introduction to strong technology in the cannabis industry was the original Pax Ploom vaporizer. The Pax was a very innovative device — however, it became evident over time that more development was needed. See, I have an original Pax, and it has been replaced once. That replacement is currently sitting in a drawer in my house waiting to be replaced (again) because it has stopped functioning. There were problems with the original charging system and the mechanical mouthpiece — sometimes it would shoot across the room, other times it would stick in the off position. Eventually the issues became bothersome. I thought vaporizing was supposed to simplify the experience of ingesting marijuana? So I was trying to overlook the brilliant design cues of the Pax 2 to get a better understanding of what the long-term usability of this product would be. In short, I was really impressed. The Pax 2 comes in the same high-quality packaging as the original. (Product for this review was provided by Vape World.) When opened, the first thing you notice is the vaporizer’s size. It is seemingly 20-30 percent smaller than the original Pax. Then, you notice the mouthpiece. Simple. Subtle. Sleek. The mechanical retracting piece is no more and has been replaced with a small vent. The power switch is still in the mouthpiece but is now a small button located in the center of the device. Although this improvement seems small, it fixed one of my biggest frustrations with the original. The new version still has many of the elements that made its predecessor special. An internal accelerometer still indicates battery life when you shake it. LED lighting informs the user as to what is happening inside the unit, whether it is warming, ready to use or conserving energy. The shape of the bowl has been redesigned, but the same sleek, magnetic closure holds everything in place, and the bowl is now larger — and wider — exposing more cannabis to the heating element for a more stable, consistent roast. This makes the bowl easier to clean, too. That said, I was unable to dislodge the new concave screen through regular testing, which was a common problem on my old Pax as well. New in the 2 is a magnetic, USB-based charging system that is a vast improvement. It is powering a lithium ion battery that charges in 2-3 hours. The magnetic charger’s USB interface is also an improvement. The brushed aluminum body gives the unit a more mature look and feel. Pax Labs, Inc. is backing the Pax 2 with the same 10-year warranty as the original, giving the buyer a great sense of security when spending $279.99. The Pax 2 is also available in four colors and comes with two mouthpieces for personal customization. What do all these improvements mean for the smoke? The vaporizer draws well and is able to produce consistent flavor profiles. It may take some getting used to with the four heat settings, but I believe this to be one of the best functioning devices on the cannabis market.